The 12C’s MonoCell introduces genuine innovation to the automotive industry and new performance standards below £200,000. It is ‘pure’ McLaren, with all parts, from engine to switchgear, designed by McLaren. The 12C can be specified with a wide range of personalisation options, pricing for which will be confirmed at launch. 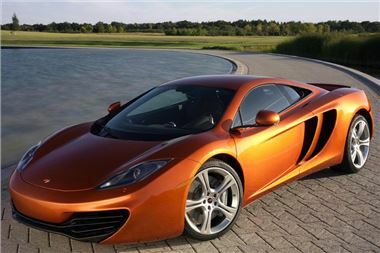 There are 17 high-grade exterior paint finishes, including ‘McLaren Orange’ - a solid hue that was made famous by the McLaren racing cars of the 1960s and ʼ70s. A choice of 14 interior trims can be specified inside the cabin. Performance upgrades include a sports exhaust system, carbon ceramic brake discs, polished-finish callipers and two lightweight forged wheel options. The ‘standard’ 12C features just one piece of carbon – the MonoCell – but carbon fibre options will include mirror casings, engine bay panels and engine cover.